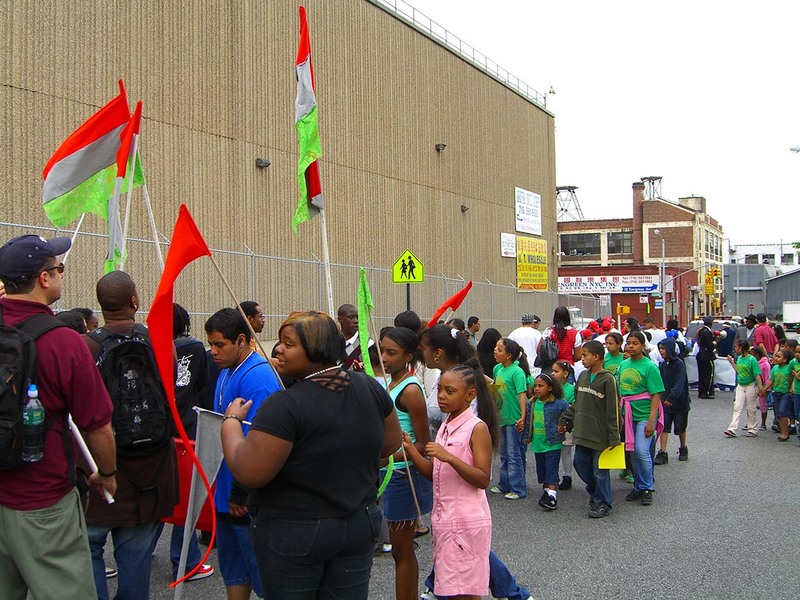 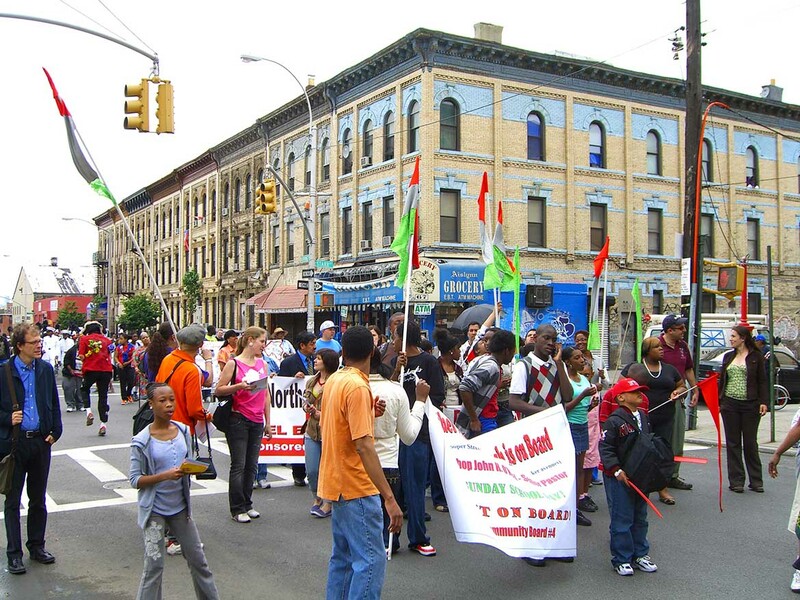 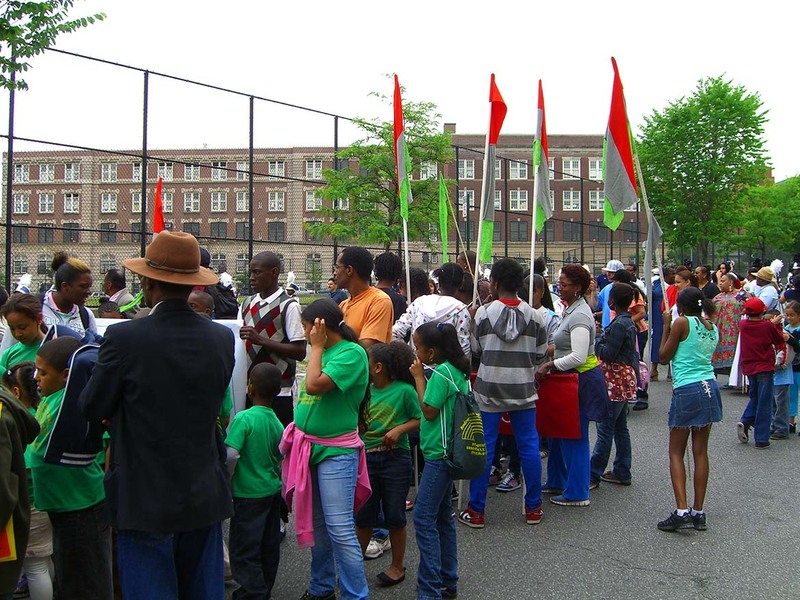 Leading up to Bushwick Open Studios 2008, and in coordination with the Brooklyn Community Board 4, representing Bushwick, I organized a contingent of flag bearers for the annual Bushwick Community Parade. 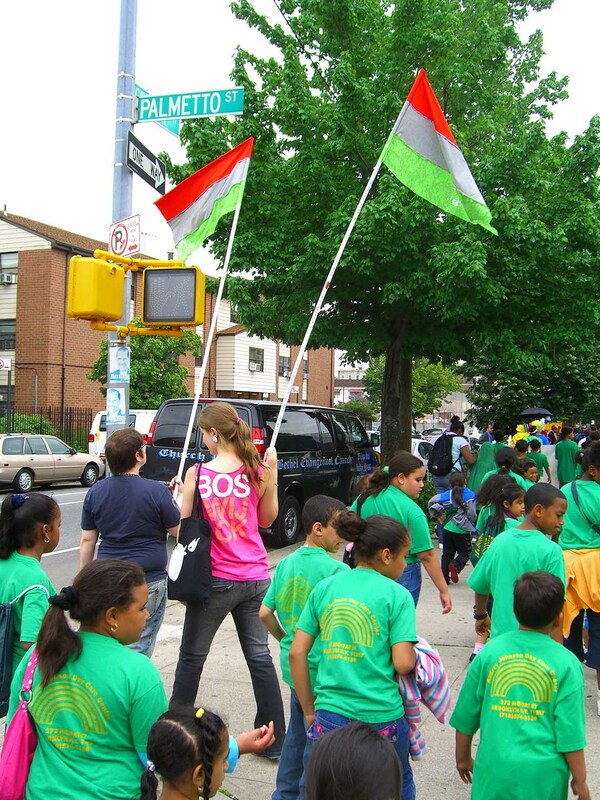 For the “Sunshine Colorguard” I made 13 flags of various shapes and colors, promoted an open call for participants through Arts in Bushwick, and then showed up at the Thursday morning parade. 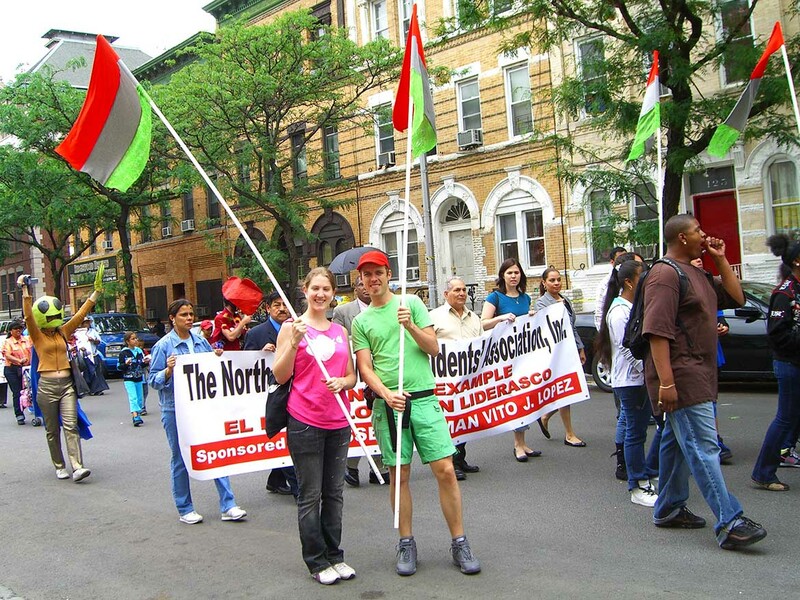 A variety of artists showed up to carry flags, including a few in costumes. 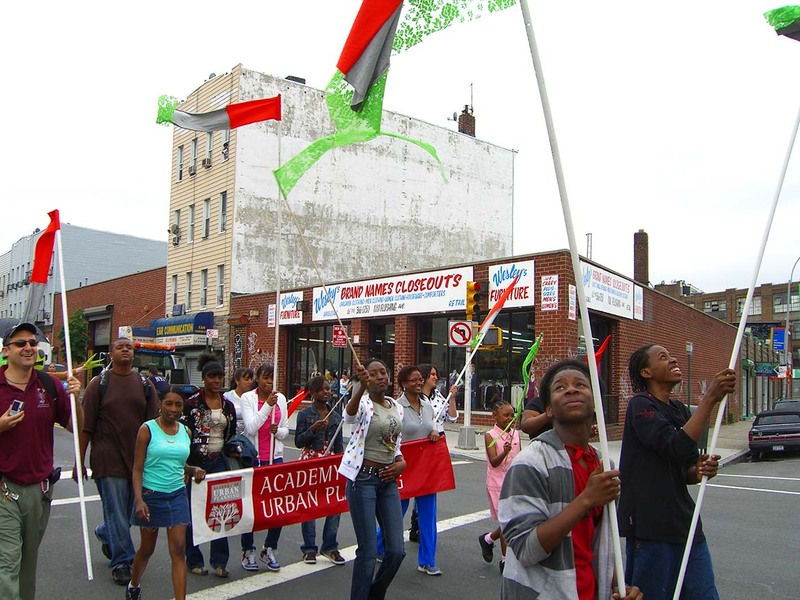 In addition to the artists, I was delighted to find a group of student from the local urban planning high school interested in carrying flags.